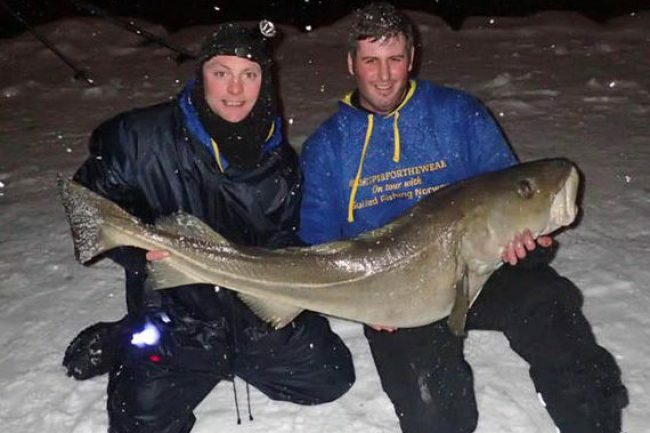 Tom Ascott, 32, said it felt like he had hooked a London bus after he cast off from the snow-covered shore and the colossal cod bit on his herring bait. He spent 30 minutes struggling to reel in the whopper which at one point swam off with 600ft of his fishing line. Mr Ascott's fisherman friend Stuart Andrew then helped heave the enormous fish out of the icy water. The fish was weighed 66lb 8oz - a staggering 22lb heavier than the existing record for a shore-caught cod which had stood for nearly 50 years. The record fish, that was 4ft 9ins long and had a girth of nearly 3ft, will make about 200 cod portions and was donated by Mr Ascott to the local community in Bodo, Norway. But the epic trip might end up leaving the father-of-two out of pocket as he promised to buy his wife Katie a new Mini car if he caught a big fish. Mr Ascott, a builder from Sturminster Newton, Dorset, said: "The fish was so big it felt like I was trying to reel in a London bus. I could have squeezed my head inside its mouth. "I didn't know how big it was at first, just that it was going to be a big fish. "After half-an-hour I was almost spent and Stuart leapt down on to the ledge I was on and helped pull the fish out of the water. When it rolled on its side we saw what a giant it was. "Sadly the fish was too weak to put back and so we donated it the locals, who are probably going to dry it out and split it between them." Mr Ascott said immediately afterwards he felt like he had bit hit by the hand of cod as storm clouds cleared and the Northern Lights appeared in the Arctic sky. The previous record shore-caught cod of 44lb 8oz was caught off south Wales in 1966. 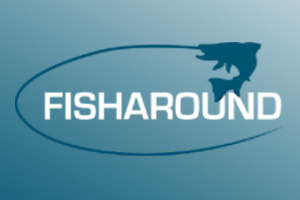 Mr Ascott added: "I'm still on a bit of an adrenaline buzz and it is still sinking in that I caught a record fish. Some people have told me they don't think it will ever be beaten because this cod was just so big. "Catching something like this has always been something that has been in the back of the mind, but it is not something you can do by design it is just pot luck." Mr Ascott was on a trip with Guided Fishing Norway organised by John Strange, who is also flabbergasted by the might catch. Mr Strange said: "I'm gob-smacked, the previous record has stood for for so long and no-one has ever caught a fish anything like this. "Tom doesn't really realise what he has done, he says he is going to beat it - but you just don't win the lottery twice." 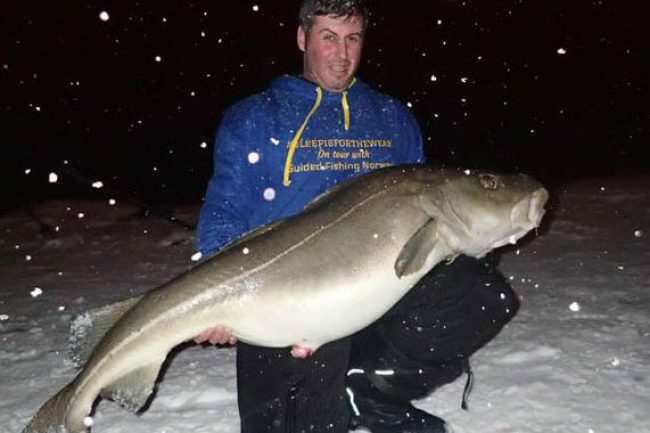 The world record for the biggest ever cod caught from a boat using a rod and line and stands at a massive 103lb. The UK cod record is 58lb 6oz.